How To Build Your School's Community?? What Is A School Community?Let's start by understanding what a community is composed of and its purpose. A community is a group of people with common shared values, interests, preferences and needs who support a better quality of life. 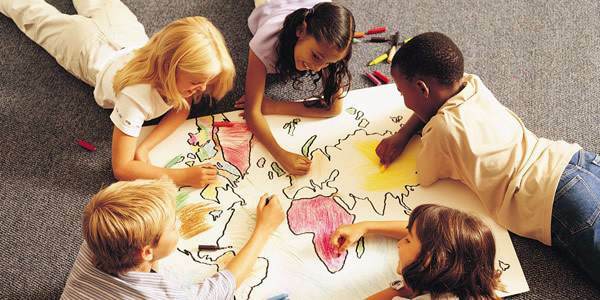 There is a level of social cohesion that supports the structure of the group and leads to unity of decisions in promoting the future growth of the community.With the definition understood, we can then build an active school community that will provide children with a loving, safe and happy learning environment. Children are the center of the community and effort must be focused on creating a learning experience supportive of the social and emotional well being of students. All stakeholders (parents, teachers, and students) will form a culture that moves forward to ensure the positive direction of daily school operation which will ensure a quality education and better future for children.Getting StartedGetting people actively involved is an important first step. When I was a director of a child care center I formed a parent partnership to increase school interest, support program activities, and help with future planning. The idea caught on and was integrated nationally into the company.We had a strong interest due to the "marketing" of the parent partnership. Here's a summary of how we drew attention and commitment from the parents.Newsletter announcements were placed two months in advance of the first meeting. Highlights mentioned were the purpose of the partnership, the benefits to the children and future planning for growth and quality in center programs.One month in advance, posters were placed in the hallways and classrooms in high traffic areas and at check-in tables. Teachers talked to parents about the partnership and encouraged them to attend the meeting. This was followed by notes placed in backpacks two weeks later as a reminder.A week prior to the first introductory meeting, an agenda was sent by email to parents who had expressed interest in joining and write my paper for me. A couple days before the meeting, the administration and staff personally thanked parents as they came in to the school for committing their time and efforts to the partnership.We invited the District Manager and associated clients to attend the parent partnership to support the cause. The District Manager gave a brief overview of the program, history, accomplishments, goals of the school and thanked the parents for coming. Having the District Manager attend demonstrated the importance the company placed upon this partnership.Many functions will always draw attendance if refreshments are served so we served a complete dinner along with dessert at the beginning of the meeting. This was also mentioned in the newsletter and listed on the agenda to promote attendance.We gave out door prizes and each parent received a small gift of appreciation for attending.Parents were personally thanked as they exited the meeting room and a follow-up note of appreciation was sent out the very next day.The details of the meeting were posted in the next newsletter along with an invitation to join the committees formed at the next parent partnership meeting.Those parents with high interest in their child's education stepped up immediately to join the partnership and headed committees formed at the introductory meeting. The next step was to reach those parents who were strong school supporters but had not yet responded. These parents the Assistant Director or I would intercept on their way in or out of the school and personally invite them to join the group. The new committee members were empowered to pursue parent interest in joining committees and to assist in marketing the program to other school parents.A Community Has Its BenefitsAs stated earlier, a community has shared interest and this is what drives the members to contribute and support program activities. The school community therefore establishes a linked family membership to build school programs where each child benefits from the partnership. In the partnership mentioned earlier, parents were highly motivated to participate because their children attended and they felt a belonging. When asked, parents said they believed the partnership would benefit their children over time with an understanding of social responsibility and citizenship. I believe most parents join a school community to be a part of a worthy cause but also to be a part of their children's lives. Many parents come to a better understanding of how children think and learn through their membership. What makes Singapore ideal for company headquarters? How Many flavors does White Claw Hard Seltzer come in? What kind of a question is this You ask your parents, "Can I go to the movies tonight?" What kind of question is this:You ask people in an airport, "How many states have you visited?" Is the term "retard" an offensive word? How many eggs do frog's lay?